John with Yoshiya Hari, Brian Lusky and Tonkatsu. Our Converge Mission is developing some new aggressive strategies to multiply churches among unreached people groups. Brian Lusky, from Erie Pennsylvania, is the newly appointed Japanese Initiative Leader. Brian has been working in Japan with a church partnership for about 5 years. Over the next few years he will develop new strategies and projects and will recruit new missionaries to work at fulfilling the mission task in Japan. 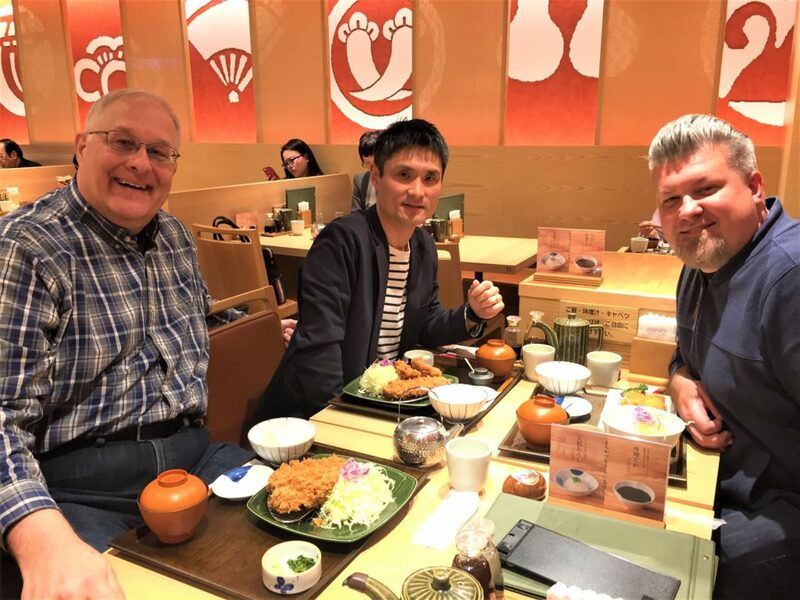 Last month Brian was in Japan meeting with key Japanese leaders, Elaine and I, other missionaries, and Rengo leadership. One meeting was with the head of the Church Multiplication Vision Festa, Yoshiya Hari. It was really enjoyable to sit and hear the two of them sharing their vision for multiplying churches among Japanese an unreached people group. Hope is building!